In its biggest philanthropic move to date, Google has decided to pledge $1 billion to prepare U.S. workers for high-tech jobs in light of automation. Speaking at an event in Pittsburgh, Google’s CEO Sundar Pichai said that the company will be spending $1 billion over the next five years through its charitable arm, Google.org to help non-profit organizations raise education level around the world. 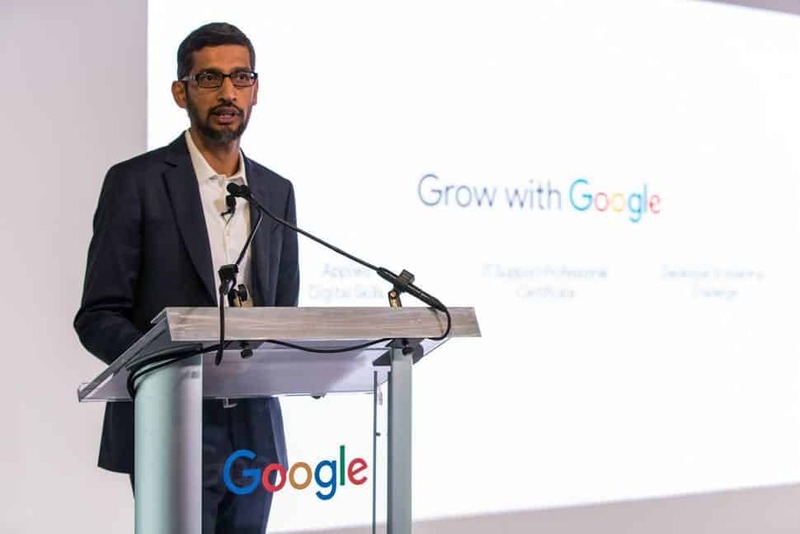 The new initiative and online resource known as “Grow with Google” will help Americans learn and teach new technology skills needed for a job or to grow their business. The program also aims to empower people with computer and entrepreneurial skills. Google is the reason behind Silicon Valley’s makeover from an industrial center for steel to a hub of robotics and artificial intelligence engineering. Google will use its philanthropic expertise to fund organisations working in three areas like “closing the world’s education gap, helping people prepare for the changing nature of work and ensuring that no one is excluded from opportunity.” Google employees will volunteer to donate one million hours to expand the capacity of those non-profits. In addition, Google will grant $10 million – the largest single grant – to non-profit organisation Goodwill, which is creating the Goodwill Digital Career Accelerator, to provide digital skills to more than 1.2 million people over the next three years. “Sometimes, it’s just showing up to help set up an event. Sometimes, we take a close look at technical issues non-profits might be having and help them innovate more quickly,” Pichai said. Grow with Google’s online hub allows students, teachers, local businesses, job seekers, developers, and start-ups looking to enhance their digital skills to access training resources and professional certifications for free. Google employees will also collaborate with libraries and non-profits across the country to host in-person training sessions and offer career and business advice. Pichai says 1,000 Google employees will be available for career coaching.